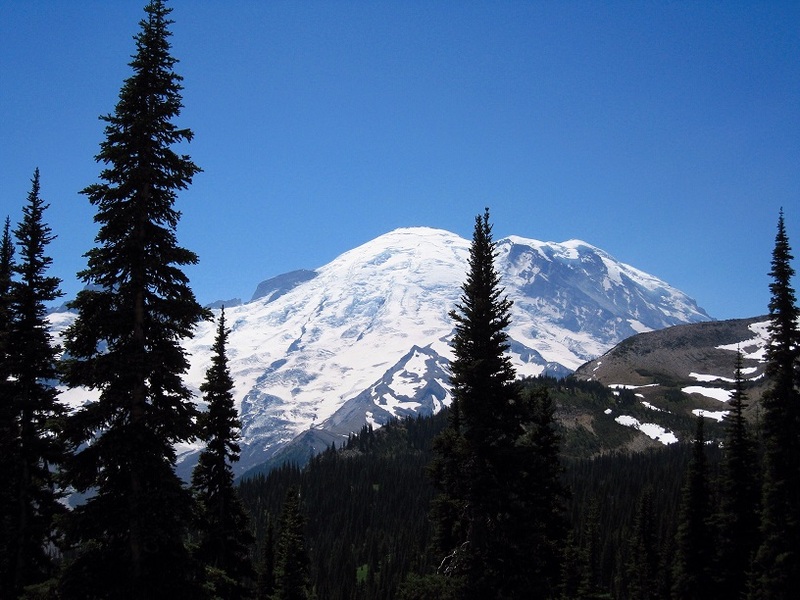 On March 2nd, 1899 President William McKinley signed legislation creating Mount Rainier National Park. This week marks the 118th birthday of our fifth National Park and though I’m fortunate enough to see the lovely mountain almost every day from a car this photo was taken during my first visit inside the park in 2008. Some my happiest days have been spent in our National Parks but while most of us have grown up with an awareness of the National Park Service we can’t take its existence for granted. The political road our country has taken is placing these pristine treasures directly in harm’s way with a new bill introduced in Congress that encourages drilling in National Parks as well as orders to roll back the Waters of the U.S. rule protecting wetlands and headwaters and effecting 60% of the water bodies in our country. Combined with dramatic budget cuts to the Environmental Protection Agency, relaxing limits on greenhouse gas emissions and lifting the moratorium on federal coal leasing across 570 million publicly owned acres means the direction of our land management and the health of our natural public treasures will be forever changed. I’ve been posting a series of my favorite National Park photos on the NW Frame of Mind Instagram account and on my personal Twitter account using the hashtags #ProtectOurParks and #NationalParks. If you’d like to see more Parks photos please feel free to follow along and then post yours on your favorite social media platform. Let me know if you do so I can see and share your work! Together we can make a difference. Posted as part of the Weekly Photo Challenge: The Road Taken. A beautiful post about a most important issue. Thank you for your very astute words about a very important yet fragile national treasure. Thank you for sharing your thoughts. I didn’t expect to post this message for the weekly challenge but once I found my old photo and saw the anniversary it all came together. I knew it was something I needed to write. Good work, and a great young man you have! He is, together with the rest of our youg – the Future. And he already seems to know that there is much work to do. Good luck with everything. We will read everything and keep updated about the March. People like you make my heart soar and the hope alive! Thanks so much for your encouragement and support. Watching the rising levels of engagement in our next generation of voters has definitely given me hope that there will be an abrubt end to some of this madness. 2018 is coming soon and these young teens will be voting in their first big elections.,, We’ll continue fighting and doing our best to keep all of our hopes alive! Hard to believe that ‘that man’ has only been in office a month. I cringe to think of the damage he can cause not only the US but all around the world in four years. Hopefully there are people like you and Ryan who can make a difference. Lovely photo! National parks and libraries are two of our greatest national treasures (not in order of importance.) I enjoy and appreciate both immensely. I agree 100% Janet – National Parks and libraries are two of our greatest treasures. So many important battles to be fought at the moment, and this one in no less important. Watching from a distance, it’s one of the most saddening. You’re right, Bob the list of important battles is near overwhelming when seen as a whole. It’s hard to settle on priorities when they all represent life or death to someone but we’re working to make our voices heard every single day. Fighting for entities who can’t speak (like the land and parks) is one thing I can tackle here with posts and images and then we follow up with donations, meetings and phone calls supporting social issues that also need our engagement. Wonderful! It’s a lovely park and one of my favorite places too! Beautiful photos, Lisa. These wonderful parks must be preserved for future generations. Love this post. Our parks are a treasure for ‘We The PEOPLE’ to be cared for and passed on to our children, their children, their grandchildren. Back in the Reagan era there was great pressure to ‘justify our parks system’, make their very existence pay for itself as in if a park wasn’t bringing in money it should be closed and sold to someone who could bring in money using the park correctly. The coming onslaught will be far worse. I’m afraid of the same… 😦 We’ll continue to do what we can to express our feelings from here and it’s comforting to know others are as well. We think alike, I have been doing the same on my Facebook page and twitter. Well done! I’ve been to many national parks in the US during my travels. Some of them have been doing very well, some need attention though! Btw, that’s a lovely photo!